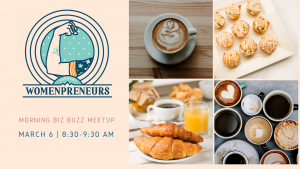 Start your day with coffee, tea, juice, and/or a pastry while meeting other womenpreneurs in the area. Learn from one another of resources and get feedback on a business matter you are working on. Bring your business cards.